If device maker LG has any say, foldable phones may soon no longer be a concept of the future. 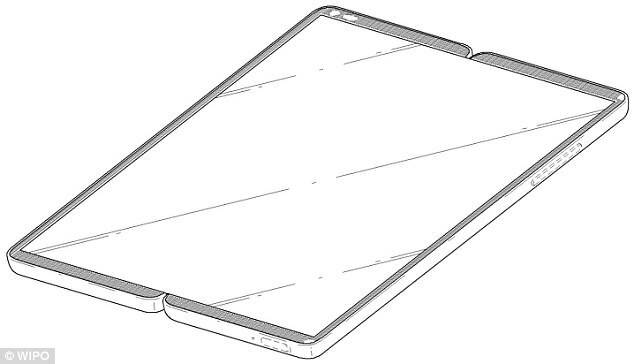 LG has applied for a patent for an unnamed device, which appears to show what the Korean company’s foldable phone could look like. The patent was filed in July 2017, but the filing has just now been made public. It comes as rival phone makers Apple, Samsung and ZTE have all submitted patents for a foldable smartphone. One photo shows a phone that can be opened to become a hybrid tablet. The phone appears to have two camera lenses on the back panel and, when folded, the front of the device can display information on the front screen, such as the date and the time. LG’s always on display technology, which lets users check notifications or the time without touching the screen, could be incorporated into its foldable phone, Mashable noted. Another prototype appears similar, but when the device is folded, the screen can be pushed to the side to reveal a transparent display that shows the date and time. LG is joining a crowded group of tech giants who have also patented foldable phone designs. Samsung is said to be developing a book-like handset with a flexible, organic LED screen, expected to be called the Galaxy X.